(The Quilts of Valor Foundation has set choosen this day. Quilters all around America will be gathered together sewing for our active service members & veterans touched by war.) Feb 2: Bring machine and spend the day sewing. 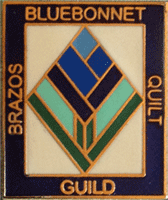 Lecture: Jan Mathews – "History of Paper-piecing"
Lecture: Judy Beskow – "What Judges Want in a Show Quilt"
(Brazos Center Assembly 102) Mar 13: Workshop: "Constructing A Basic Landscape"
Mar. 8-10 Dallas Quilt Show 2019–"Ewe Otter Bee Quilting"
(officially designated as the 3rd Sat. in March. Resolution passed at 22nd annual show of the National Quilting Assn in Lincoln, NE in 1991) Appreciate and recognize quilt makers along with their long labor, love & skill that goes into each quilt. 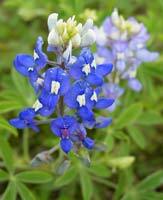 Lecture: Linda Winder – "Lessions I have Learned: The Good, The Bad & The Ugly"
Lecture: Ann Loveless – "Landscape Art Quilts"
May 15: Workshop: "Impressionistic Poppies"
Lecture: Debbie Jones – "Fabric Becomes Fine Art"
(Brazos Center Assembly 102) June 11: Workshop: "Silk Bowls"
June 12: Workshop: "Butterfly Decollage"
June 13: Workshop: "Fabric Stamping & Painting"
June 14: Workshop: "Landscape DeCollage"
June 15: Workshop: "Fabric Ice Dyeing"
Lecture: Lou Ellen Hassold – "Quilting Through Generations"
Program: RaNae Merrill – "Spiral Mandella Trunk Show"
Bring a $20 gift for the gift exchange, too!